The Japanese honeysuckle has viny shrubs with showy, fragrant flowers that are used for shrub borders, groupings, or mass plantings. 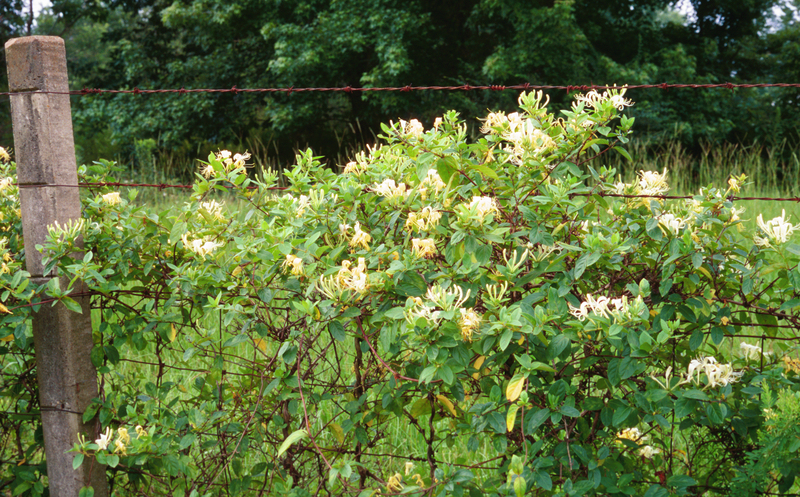 Highway designers, wildlife managers, and landscapers use honeysuckle for a variety of reasons, not limited to but include fragrant and beautiful flowers, fast growth, erosion control, and its ability to stabilize banks. Although beautiful with a sweet fragrance the Japanese honeysuckle is a noxious vine that engulfs shrubs and small trees, causing them to collapse. It is an opportunistic invader who suffocates other native plants by shading plants and robbing the soil of nutrients. 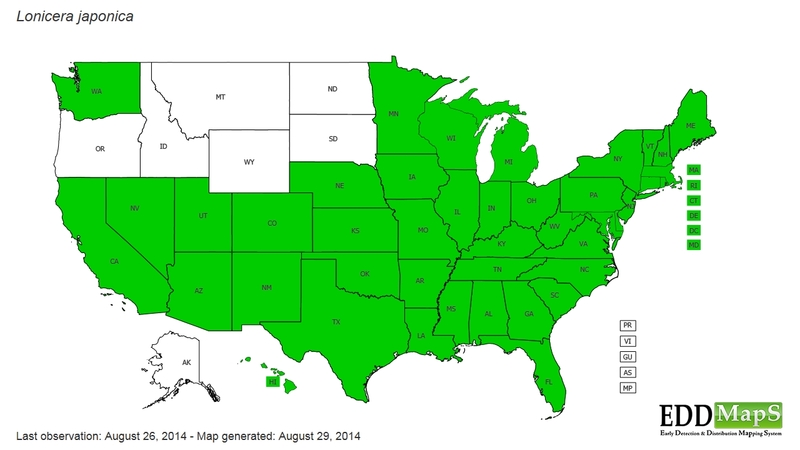 This invasive species is in the majority of countries, and has quickly invaded most states in the United States. There are no known biological agents for Japanese honeysuckle. The most effective method is cutting the plant within 5-10cm of the ground and then applying glyphosate immediately after cutting. Diamond Mowers’ Rotary Mower offers an excellent mechanical solution to taming this invader.